Summertime offers so many wonderful pleasures and for many people, myself included, blueberries are among those at the top of the list. I could eat them three times a day – prepared differently or just naked. Even plain, these spectacular little colourful berries are definitely a tasty treat. And, as an added bonus, they have so much scientific research backing their powerful disease-fighting effects. Researchers are investigating a multitude of benefits including their potential defense against certain cancers, heart disease, diabetes, Alzheimer’s, urinary tract infections and weight gain. You have to wonder if there’s anything that these berries don’t protect against. For a mere 80 calories per cup, blueberries offer almost four grams of fibre along with a range of vitamins and minerals such as vitamin C and potassium. But it’s their pigments, called anthocyanins, that are at the centre of much investigation. Unlike some research on various compounds which requires ridiculously large amounts of a food to be consumed in order to achieve any disease-fighting effects, investigators at the University of Alabama at Birmingham Comprehensive Cancer Center point to consuming just one cup a day to prevent cell damage – the type that can lead to cancer. They suggest the abundant antioxidants in blueberries offer protection against free radical damage to cells which can be the first step in cancer development. 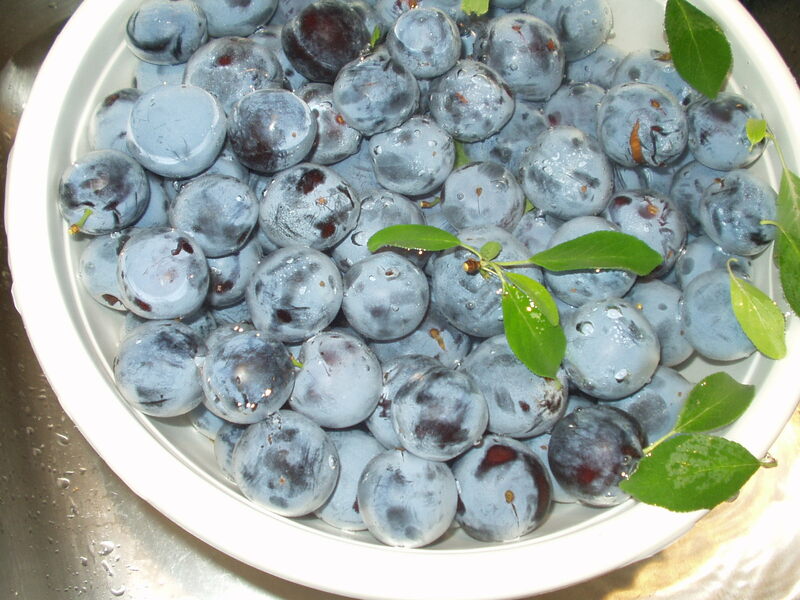 Other research has zeroed in on more of the blueberry’s actions in fighting various cancers. For example, California scientists found that blueberries slowed the growth of a certain type of breast cancer as well metastasis – the spread of these cancer cells to other parts of the body. If these benefits aren’t enough to make you rush out to buy some, consider the blueberry’s anti-inflammatory action. This contributes not only to the berry’s ability to decrease the risk of cardiovascular disease and cancer, but also plays a powerful role in protecting cognitive function in the brain. The anti-inflammatory potential along with antioxidants have given blueberries a stellar reputation as a weapon against Alzheimer’s disease. Blueberries, just like their well-known berry cousin the cranberry, also deserve accolades in promoting urinary tract health. The purple berries contain the same phytochemicals as cranberries which research shows offers advantages for those who regularly contract these types of infections. While products such as blueberry juice do offer some of the same benefits, they’re missing some vital nutrients such as fibre. At the same time, they often have unwanted ingredients, like sugar, added. The real problem with these offerings is that, simply put, they’re not the entire package. Whole blueberries contain a wide range of compounds which may have a synergistic or additive effect in defending against disease. Remove one component and who knows just how powerful the remainder may be. You might be wondering whether the cultivated or the smaller more intensely coloured wild blueberry offers the most health benefits and this remains a hotly debated subject. But the late Dr. James Joseph, one of the foremost blueberry researchers at the USDA Human Nutrition Research Center on Aging at Tufts University in Boston, who had spent more than a decade investigating their benefits, suggested, that for maximum benefit, both wild and cultivated be consumed. He pointed to the fact that they had different nutritional perks. While fresh local blueberries are only available at this time of year, you can reap their diverse health benefits by going for frozen or dried all year long. If you’re lucky enough to come across baskets of berries, freeze your own. Simply wash them gently, pat them dry and then place them in a single layer on a baking sheet in the freezer. Once they’re frozen solid, pack them into containers to use later in muffins and crisps, for example, as well as in smoothies, as a topping for yogurt or cereal or in a fruit salad. When baking using frozen berries, it’s best to use them right from the freezer. But for a topping or in a fruit salad, defrost them first. You can keep a jar of defrosted blueberries on hand in the refrigerator for regular use. Be sure to include both the berries and the liquid from the container to reap all the benefits. Dried blueberries are also a convenient way to get the berry’s goodness but because they’re so yummy, it’s easy to overdo portions. Two tablespoons of the dried version correspond to about one cup of fresh ones. Instead of fat-laden pie made with a white flour crust, go for top notch nutrition by making a crisp using oats, nuts and cinnamon in the topping. Keep some of the topping on hand in the freezer and between frozen blueberries and your topping, you can throw together a crisp in a flash. Use dried blueberries as you would use raisins in cookies, muffins and other baked goods. A salad of dark leafy greens such as a spring mix, spinach or arugula, topped with soft goat cheese and fresh or dried blueberries and dressed with a balsamic vinaigrette can be a tasty dinner starter or a main course at lunch. Blueberries are also great in other savoury dishes. Use them to sauce grilled chicken or as an addition to a grain pilaf. Check out the recipes at wildblueberries.com. At this time of year, fresh blueberries topped with plain low-fat Greek yogurt and a touch of honey is as simple as you can get. It’s also delicious and refreshing to boot. What are your favourite ways to eat blueberries? Share in the comments below! ← What’s the verdict on coconut oil?